Job done, but Kevin McStay was equally delighted and frustrated in the aftermath of Sunday’s seven-point victory in Ennis. He had witnessed his team play some exquisite football, only to undo the hard work by basic errors that continue to blight his side’s development. “We can never seem to do any anything straightforward because I genuinely think that we won that game twice. We were the better team but we made hard work of it. We had a five-point lead at one stage in the first half. Then the concentration dropped and the messing started — dropping of the ball, the turnovers and suddenly they were back in it. “Like the Louth game, we were annoyed at half time because we weren’t in a stronger position. The idea that we were going to have a really outrageous opening ten minutes (to the second half) was really paramount for us. We were under pressure to get a result. “We did well in the third quarter. We played some really nice football but mixed it with some shocking stuff. So there’s lots to learn but these are two great points because we’re secure in the division. Now our attention can turn to the possibility of coming first or second,” he explained. With big games against Cavan and Cork looming, McStay is hopeful that a cure for missed goal chances can be unearthed this week. “We’ve two massive matches coming up. They really are championship games for us. We can start to turn the corner and think about the championship now. If we can get everybody back fit, we’ll get a sense of what our team might look like. “We are a free-scoring team when we get moving. But we had five goal chances in the second half, and only took one of them. At this level, that’s not just good enough. It’s nice to be creating them but it’s a theme that we’re not scoring them. But I can’t be too critical because a seven-point victory is a good win down here. “Today was a very high pressure game. There won’t be the same pressure on us next weekend. We just have to see can we be consistent and bring it into next Sunday — not this nonsense that we sometimes get caught up in,” he continued. McStay went to praise Man of the Match Donie Smith and felt that his overall contribution, outside of his scores, was very beneficial for the team. “Donie was really good today. Aside from the nine points, he knocked some of the silly stuff out of his game. Getting a full 70 minutes into Cathal Compton was massive for us. Tadhg O’Rourke was mighty. He’s just so honest. I’m happy with the contribution of everyone but there’s so much room for improvement. “I think we’re still fighting for our form and consistency. I don’t need to tell them that they’re good players but we’ve not been good enough over 70 minutes. But I think we’re getting there. Next Sunday will be a marvellous occasion. Cavan will travel strongly but we feel that it’s a 50-50 game against them. “It may come down to who takes their chances and that’s what will be honing in on this week, asking why we aren’t finishing all these chances. It’s coming down to a loose hand pass. It’s not clever, sharp or accurate enough,” he conceded. 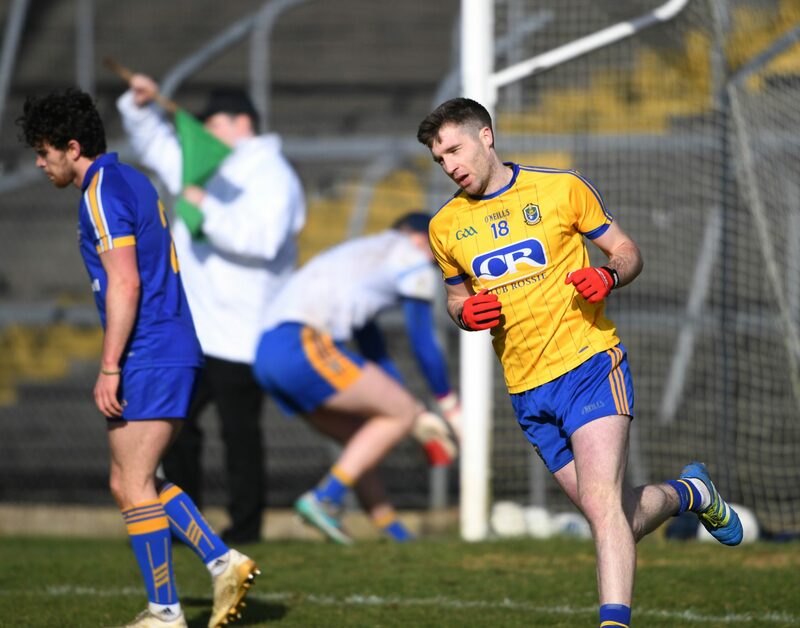 Selector Liam McHale also expressed his frustration that Roscommon weren’t able to stitch together a consistent 70 minutes, despite the ramifications of Sunday’s result. “We played outstanding football for 15 minutes and then we went asleep for ten minutes. We were five up but then only ended up being two points ahead at half time. Three of those Clare scores came from horrible turnovers. Our concentration levels seem to dwindle when we go ahead. I don’t know how we’ll figure it out, but we’ll have to if we’re to be promoted from this division,” he acknowledged.